As the day comes to a close, a maple tree adds a splash of color to a classic Japanese scene in central Kōchi city, the capital of Kōchi prefecture. 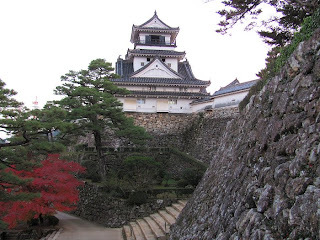 The origins of Kōchi Castle date to the early 17th century. 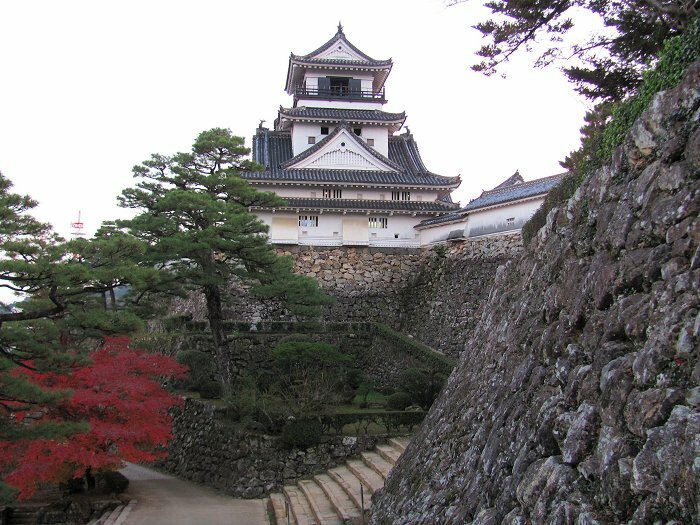 Though it's been restored and rebuilt over the years, the castle is still the original structure and not a replica.